The best thing about Handa ka Funda which separates it from rest is that the course material is tailored according to different exam pattern. • The Common Admission Test (CAT) is an all-India test conducted by the Indian Institutes of Management (IIMs) as an entrance exam for admission to the Post-graduate and other related Programs in management courses of several management institutes all over India including the IIMs. • The CAT score is used separately by each institute along with other parameters i.e. academic performance, work experience, group discussion, written assessment and interview performance, etc. to select candidates. The weight assigned to CAT score may differ for each institute. Not all colleges go through these steps of processes, but many top colleges prefer this. All the Candidates should read the marks weight, process of selection and breakup score for each institute mentioned on its respective website. • The candidate is necessary to hold a Bachelor’s Degree, with a minimum score of 50% marks or equivalent CGPA [45% in case of the candidates belonging to Scheduled Caste (SC), Scheduled Tribe (ST) and Persons With any Disability (PWD) categories], awarded by any University or educational institution as incorporated by an Act of the Parliament. • The percentage of marks acquired by the candidate would be calculated based on the practice as followed by the respective University or Institution. In the case of grades or CGPA, the conversion to percentage or marks is usually based on the procedure that is certified by the respective University or institution. If any University or institution confirms legally that there is no scheme used for converting the Grade or CGPA into equivalent percentile or marks, the equivalence of grade/CGPA would be established by dividing the candidate’s CGPA by the maximum possible CGPA obtained, and multiplying the outcome with 100. • Candidates that are appearing for the final year of Bachelor’s degree or equivalent qualification examination or those who have completed degree requirements and are waiting for results can also apply for CAT examination. However, it is possible for such candidates to appear, but if selected, will be then allowed to join the programme provisionally, only if they submit a certificate from the Principal / Registrar of their University or institution (issued on or before the date as stipulated by the respective IIM) stating that they have completed all the requirements for obtaining the Bachelor’s degree/equivalent qualification on the date of the issue of the certificate. Section – No. of Questions – Duration! CAT Syllabus & Exam Format 2017! To get admission in any of the IIMs, you will have to attempt the CAT (Common Admission Test). CAT exam is conducted every year in India by one of the IIMs on a rotation basis (one by one). Along with admission in IIMs, it is also a qualifying exam for MBA studies in the Indian Institutes of Technology (IITs), Faculty of Management Studies (FMS), National Institutes of Technology (NITs), Indian Institute of Science (IISc) and a few other institutions as well.There will be a lot of students preparing for this exam, and it is not going to be easy for all the IIM aspirants to qualify for this exam with the best score. To stand out of the crowd and get admission, you need to understand the exam pattern and syllabus first. The CAT 2017 syllabus has three sections namely Quantitative aptitude, verbal reasoning and data interpretation & logical reasoning. There is no particular portion in each part that can be expected in the exam. You will have to make sure that you are mastering all three parts of the CAT exam. The essential thing to know at the beginning is the fundamentals of each part. Once you know the basics, you can start working on them to the advanced levels. 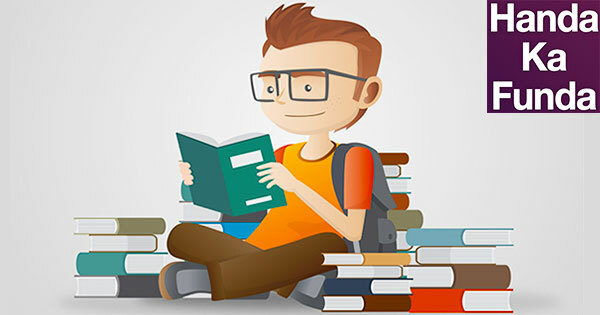 Once you have revised the complete syllabus, you will have to start learning tips and tricks like shortcuts to solve the questions fast. Practice more and more previous papers and other tests to know your accuracy levels. CAT is a computer based online test, conducted in many cities of India. A candidate can select his / her exam date and slot as per individual’s choice and availability. So this was all about the CAT examination now the question arises how to study for this examination and to crack this CAT exam in 1st attempt. People usually go for tuition classes for preparation of CAT and typically CAT teaching classes costs up to 20k-30k for 3-4 months, i.e., roughly 10k per month which is too high. There are many online courses available through, but there is no guarantee how accurate they are. Handa Ka Funda is the best online course for CAT preparation! The advantages of the Handa ka Funda course are as follows – The language is straightforward. All the past question papers are covered. Many practice examples which familiarize you with the type. Regular doubt clearing sessions.Online course benefits – time-saving, nominal cost, etc. So we came across this website HandaKaFunda.com which has the video tutorials of CAT 2017 and 2018. They have 750+ video tutorials for CAT preparation completing entire syllabus of CAT this site is a complete package for your CAT preparation they have PDF documents as notes which will be useful for your study after watching videos. You can check it here – Handa Ka Funda Online Cat Coaching! Even they have mock tests (test series) available which you can practice to get the actual idea of CAT paper. The best part is all these costs you very low not even the 1/4th of the actual tuition classes of CAT. The video tutorials are easy to understand and explained very well. Without the second thought, one can surely enroll Ravi Sir course and feel happy that you have taken your first step on the path to crack CAT. He is always ready to help, friendly and his works are like art which is straight to the point and wholesome! Just go for Handa ka Funda! In CAT 2018 course, you would get around 100 videos now, and the rest would be released slowly – roughly ten videos a week. The entire course would be released by January. While in CAT 2017 course you will get instant access to all videos. For complete details, you can visit – Handa Ka Funda!